One Hundred and Forty-nine years ago, Jefferson Security Bank opened its doors on May 19th, 1869. Operating as Jefferson Savings Bank, they were the first bank in Shepherdstown, WV. 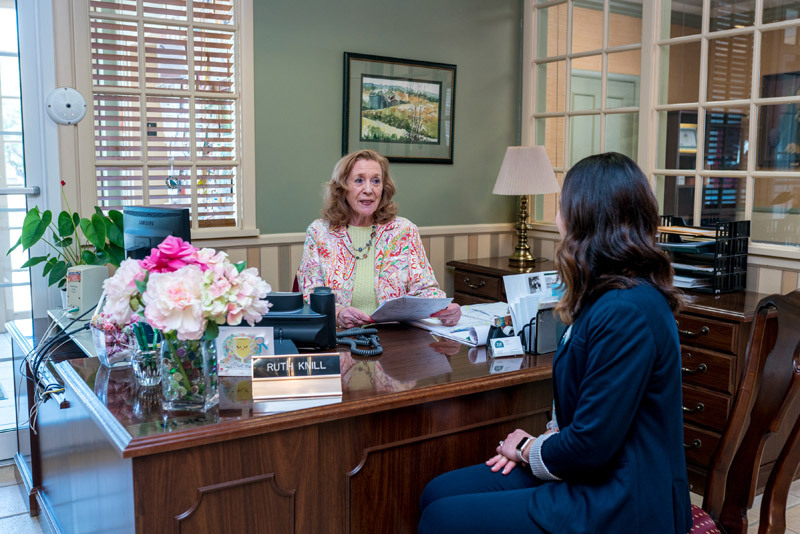 The bank’s objective was to provide the residents of Shepherdstown and the surrounding area the security and finances needed to rebuild after the civil war. They have remained a fixture in Shepherdstown ever since by staying true to their mission of supporting their community. By evaluating what their customers need and focusing on the people rather than metrics and numbers, the bank has grown from its early beginnings, yet has remained true to the belief that a community bank best serves the people by focusing on their needs and their circumstances. Changes have been gradual. In 1909 Jefferson Savings Bank became Jefferson Security Bank. While their name changed, they remained focused on their community. Over the years the bank has added branches to serve their customers better and they have expanded slowly, making sure they do not grow too big for the people they serve. Every step of the way has involved evaluating the community needs and making sure they continue to focus on their customers. Today, Jefferson Security Bank has six branches. In addition to the two branches in Shepherdstown, they have one serving Charles Town, WV. Outside of Jefferson County, West Virginia, they have two branches in Berkeley County, WV and one in Washington County Maryland. 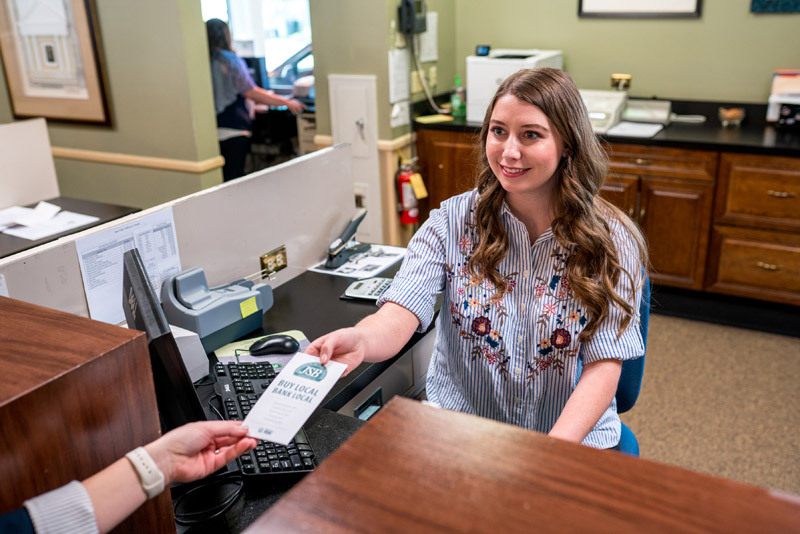 The sense of community is strong at the bank; many of the tellers have grown up in the area and have served Jefferson Security Bank customers for over twenty years. There are conversations about family and the comings and goings of family members. The bank isn’t just a business, it is a business that focuses on its customers and knows that its customers are what makes it unique. “When we process a loan, we don’t just look at numbers, we know there is a story behind the numbers— and they do not tell the whole story,” Jenna Kesecker – Executive Vice President and Chief Financial Officer adds. Because Jefferson Security Bank is a local bank, they can look at the customer and work with them to create a loan based on them as a customer and not as a series of numbers. “We’ve always been involved in the community – donating money to projects such as little league,” Jenna adds. This is because the community is more than just the people in your neighborhood – it’s the programs that support them and make life in the area better. For the past twenty-five years, they have supported the Shepherdstown Volunteer Fire Department by hosting the John D. Low, Jr Memorial Golf tournament. The tournament, with the help and participation of the people of the Shepherdstown area, has raised more than one hundred thousand dollars for the Fire Department. Because education is an essential foundation of any neighborhood, JSB sponsors activities at Shepherdstown Elementary as well as Shepherd University. They also work with the FDIC to help young adults learn good financial habits that will see them through adulthood. Jefferson Savings Bank knows that in order to help their neighbors, they have to listen and learn what they need, and they need to adapt and grow as community needs change. It is why they have taken their time expanding, each step of the way making sure it is the best plan not just for the bank, but for the people of the areas they serve. Sustaining a business, any business, requires keeping up with the needs of the people and businesses it supports and offering the best service for its customers. It also means evaluating your course and seeing what has changed and being part of that change. It is how JSB has been able to start their 150th year and how they will make it through the next 150 years. Jefferson Security Bank offers all the services you would expect from a large corporate bank: electronic banking; remote deposit; personal and vehicular loans; mortgages; and business loans. But unlike corporate banks, decision are made at the local level. 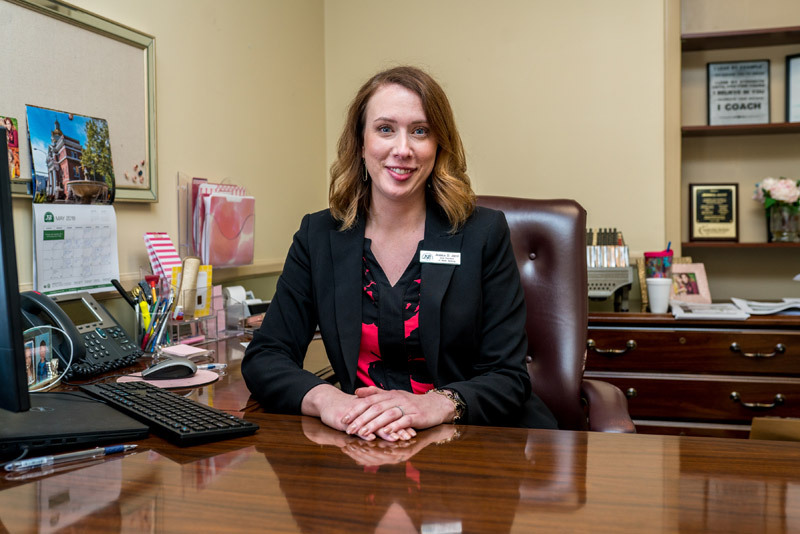 JSB has remained a community bank because they have always been a part of their community. Their employees are their customers’ neighbors and friends. They have grown up in the area they serve— and who better to understand the needs and people of their region? JSB is also partnering with their employees to help support projects and activities that are important to their employees. This partnership helps the people of JSB give back to the community and help it grow, which in turn helps the bank. For almost one hundred and fifty years, Jefferson Security Bank’s mission has remained: We are a community bank that partners with our customers to enhances their lives and enriches our communities through local-decision making. This goal is why it has lasted one hundred and forty-nine years, and it is why it will last. “For our anniversary, we usually have cake in the lobby of the local branches; next year, we’re going to go out into the community since they are the ones who made this possible,” Sara Wasson commented. It may sound strange to start planning for the events now, right after the celebration of their 149th anniversary, but this is how JSB has gotten to where it is now: planning. Spectacular things don’t just happen: they are worked for, planned out and as time passes they are evaluated and course corrections are made if or as needed. It is the only way to remain focused on a goal that can be as simple as doing your best for the people and community your serve. Valley Homes & Style is the area’s premiere upscale magazine, representing lifestyles in the Southern part of the Cumberland Valley and the Northern area of the Shenandoah Valley. If you are interested in advertising in our publication, please email us at kresha@homesandstyle.com or call 304-260-0055.